So I’ve been back from Europe for a couple of days now and I’m just playing catch up. I wish I could tell you that I love being back to reality, but I don’t. Send me back on vacation any time! Anyway, the Saturday before I left for my trip we celebrated my dad’s birthday at The NoMad, the hot new restaurant in The NoMad hotel. We’d been wanting to try it for some time and when I found out my friend Thomas, who I know from his time at another of my favorite restaurants, was now the Wine Director at NoMad I was even more excited. Of course, as always, I’d called ahead to let the kitchen know about my allergies. After we were seated our waiter assured me that he and the kitchen were both aware of my needs and would have no problem accommodating me. Unfortunately, when I asked after Thomas I found out that he was out giving a lecture and wouldn’t return until much later in the evening. Oh well, that just means I’ll have to make another visit to NoMad! I always check the online menu’s of any restaurant I’m going to because it gets me even more excited. I noticed on The NoMad’s cocktail menu they also serve “soft cocktails.” I love the concept because of course some people don’t drink (generally people who I have nothing on common with…) and it’s nice to have something special for those guests. 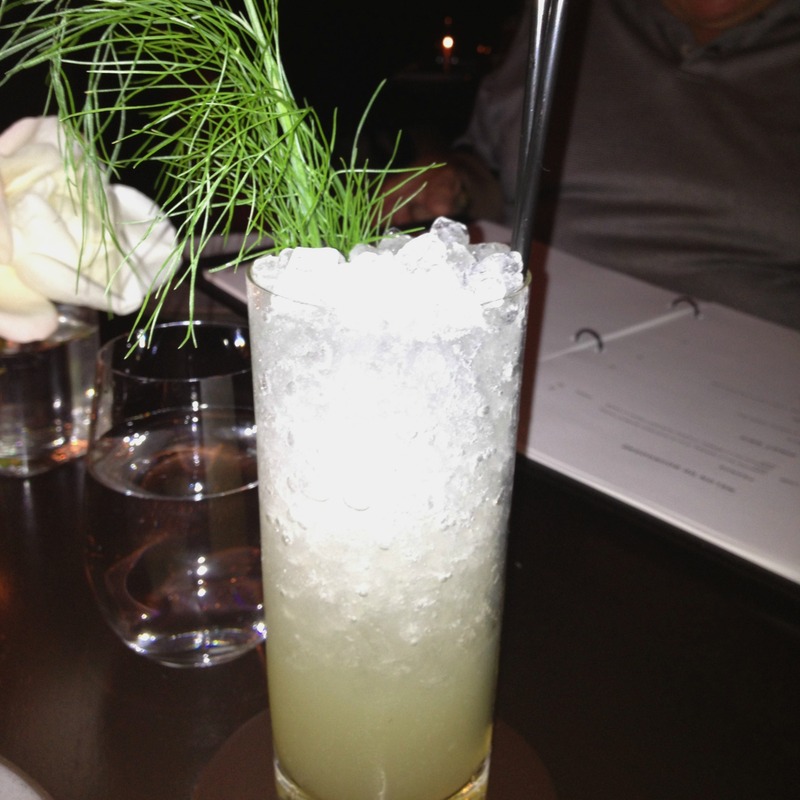 Generally the only soft drinks I enjoy are water, milk and black tea, having never developed a taste for most others, but when I noticed the Basil-Fennel “Soda” on the menu, a mix of basil, fennel, lemon and sparkling water; I knew I had to try it! Tart and delicious, but don’t worry I drank plenty of wine too! When the waiter brought over our menus, he let me know that the kitchen would be happy to make a modification to any items on the menu, for example omitting the cherries from the pork dish or the beans from the lobster. Score! I love it when restaurants are so accommodating because I’m not being picky, I have a health issue. 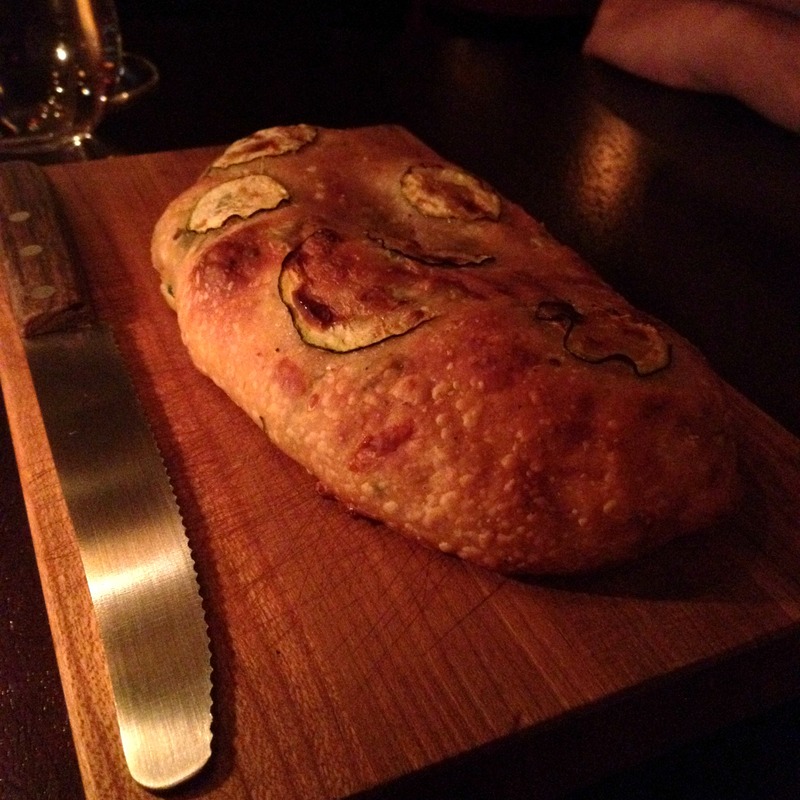 After we ordered we were presented with a warm loaf of rustic bread with zucchini on top and the waiter assured me it was safe for me. Heavily flavored with rosemary, the bread was pure comfort on a plate (well wooden cutting board, but you get what I mean). 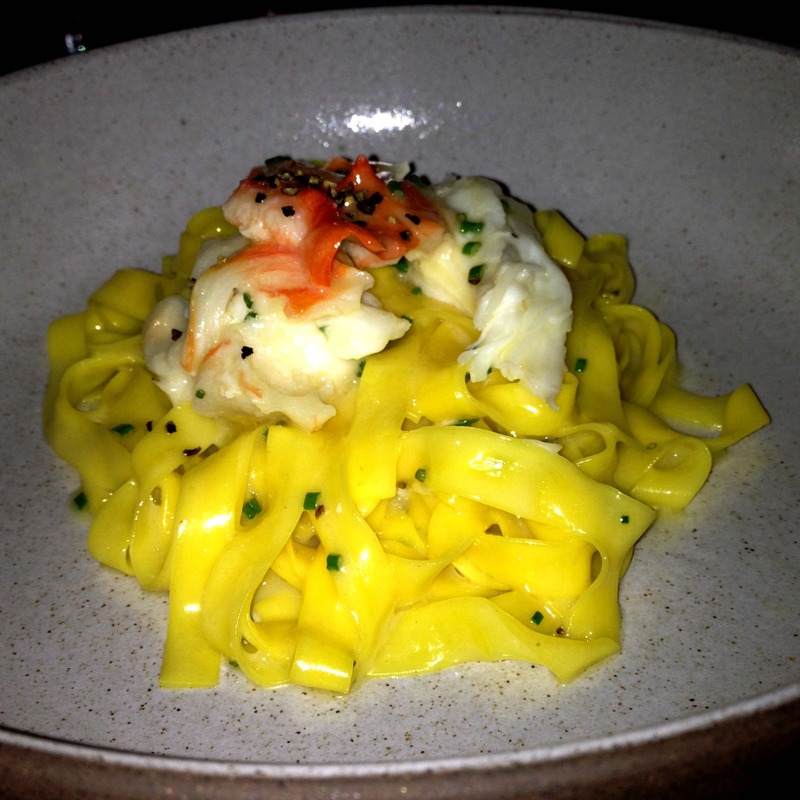 For my appetizer I ordered the Tagliatelle with King Crab Meyer Lemon and Black Pepper. As soon as the dish was placed in front of me the amazing scent of meyer lemons wafted up to my nose. The crab was plump and sweet which paired perfectly with the acidity of the lemon and the spice of the pepper. My dad had the same appetizer and we both agreed that it was perfection. 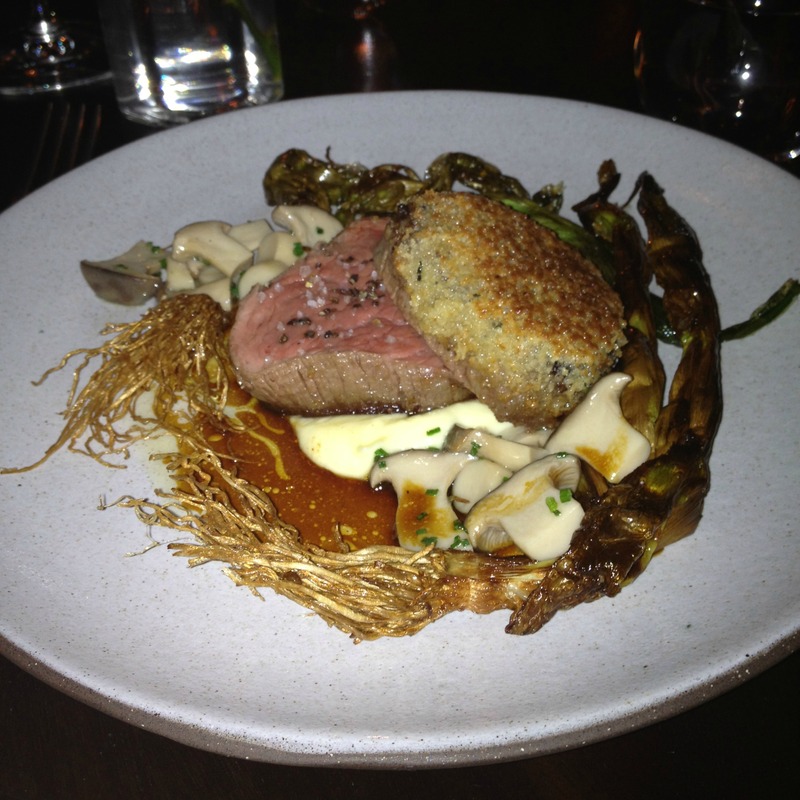 My choice for main course had me at hello, Bone Marrow Crusted Filet Mignon! Of course I ordered it medium rare and waited for the magic to happen. When it arrived I was not disappointed. The steak was cooked perfectly and the richness of the marrow was cut by just the right amount of garlic. The dish was served on a bed of whipped potatoes that felt like silk on your tongue and one of my favorite elements of the dish were the green onions that were served whole, roots and bulb and all, and pan fried crisp. I have a weird relationship with mushrooms, not usually loving the “fancy” kind, but even the mushrooms in this dish were great. When it came time to order dessert I reminded the waiter again of my allergies which is an important tip. Remember that the people making and plating your desserts are rarely the same as those preparing the main meal. The waiter assured me he’d check with the kitchen again and wouldn’t bring anything unless it was absolutely safe for me. Yeah! Feeling confident I ordered the Strawberry Shortcake with Lemon Foam and Strawberry Sorbet because once I see the word strawberry I never feel the need to look further. 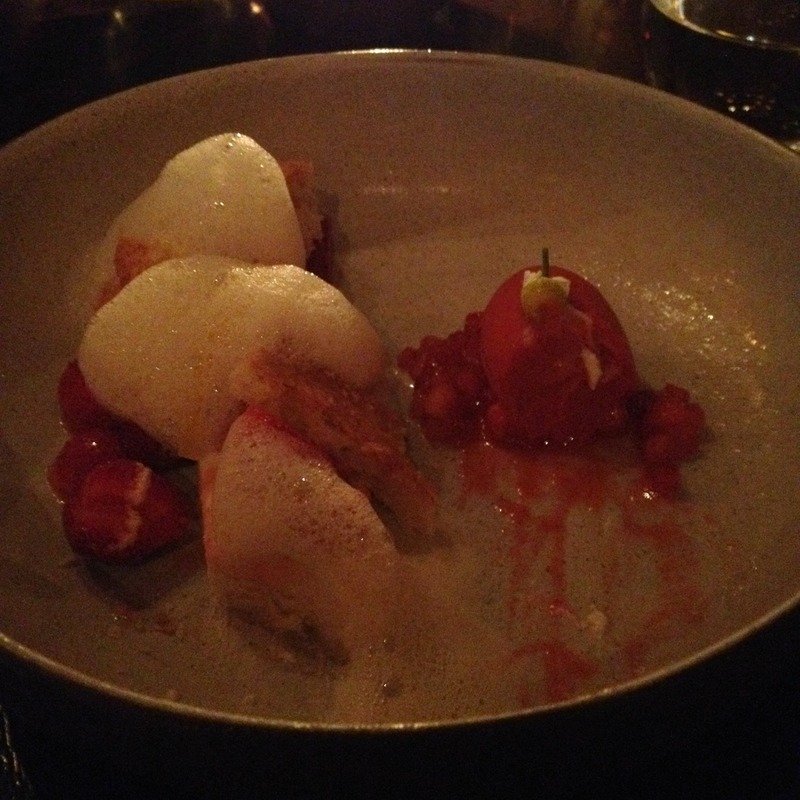 I don’t really know how you can go wrong with strawberry shortcake and this one was top flight. Perfectly tart strawberries, buttery flaky biscuits and airy lemon foam with just a touch of sweetness. As usual I forgot to take a picture of dessert before digging in. The problem is I’m usually tipsy by the time dessert arrives. This entry was posted in Uncategorized and tagged Restaurants. Sounds incredibly yummy and decadent. Can’t wait to check it out! Holy yum. This place sounds amazing. I like my steak medium rare, too. 😉 You make me want to try this place when I visit NY!